Work continues on the new gas line behind my office. This week they have been welding together more sections of the two foot diameter pipe. Last week they hit a water main a few blocks from here and flooded out the railroad underpass. 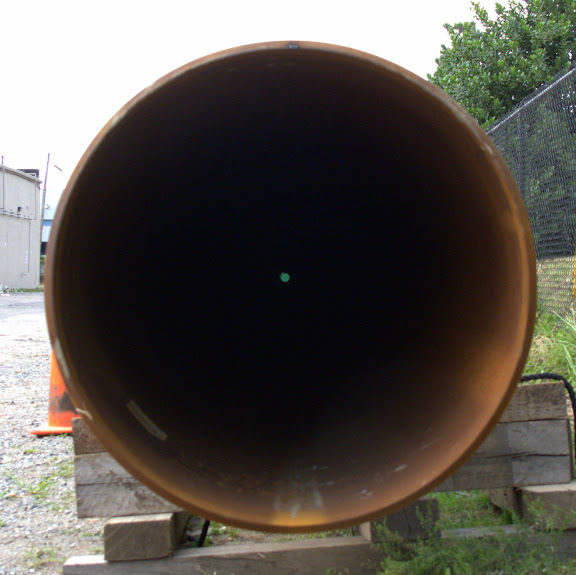 This pipe is now a couple of hundred feet long and when you look through it, the other end is just a pinpoint of light. In fact its a green porta potty. Canon G10, 1/250 sec @ f3/5, ISO 200.